Do I keep my mother blocked? I was no contact with my narcissist mum for 7 months – last July through Jan 13 2018- that was her 87th birthday. I missed holidays ,the traditional so called Christmas Eve and it was fine for me. I saw people that I love and love me for holidays. So anyway my brother Joe called me and asked me why I was keeping away. I told him about the ongoing verbal and emotional abuse from her and I told him it was affecting my health so I was staying away. He’s presumably the golden child most of the time, he’s very wealthy. He wanted to talk about it, I did face to face but he convinced me to attend her 87th birthday. I did, she didn’t say anything at all to me. Just hello, no big deal. After that she started calling me maybe once a week or more. Easter came I attended dinner with my brothers and their families, she was present. It was ok.
Then this Mother’s Day 2018 I attended a dinner at another brother’s house, when I saw her I had a panic attack which lasted 3 hours. I called my therapist, he told me to leave the event, take a walk and go home for some meditation. I was fine after I left. I don’t know what happened, therapist thinks she triggered something and because I had let her back in to my life my guard was down and I had a reaction. Now I have not seen her since May 13 2018. I talk to her once every 10 days by phone to just ask how she is. Pretty low contact I think. One of my brothers had a cookout last Wednesday. It was July 20 2018. I didn’t go. I know I should have hung up the phone but I didn’t. We eventually hung up not on bad terms. I blocked her from our home phone and cell. I don’t know what else to do, I’m seeing my therapist on Tuesday. My birthday is in a few weeks…I don’t know if I should remove the block on my phone?? I know that’s really stupid.. but I do need help. I’ve been suffering for a week now… my therapist says it’s a culmination of every thing that she’s done and with this new trauma it pushed me over the edge… that’s my story..
Everyone in my family calls each other on birthdays… if I keep her blocked, she will disown me… I know it…it’s hard to be ready for that. 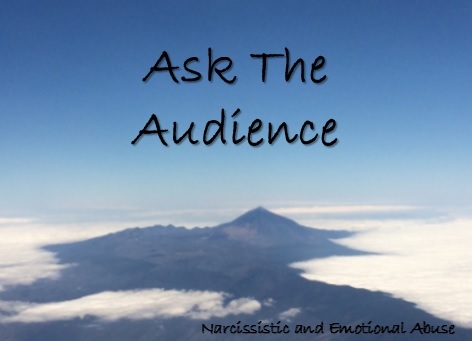 Did The Narcissist Manipulate The Assessor?